This modern day winery is steeped in a family tradition of grape growing and winemaking in La Rioja, Spain. 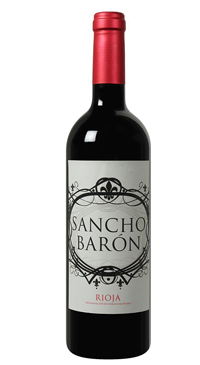 Sancho Baron has a seductive scent of violets, forest floor, toast and sweet vanilla. The palate is silky with soft ripe tannins providing a frame for elegant flavours of fresh black currants, ripe plums, and blueberries. Notes of incense and a slight minerality add interest and the wine finishes with a smooth pleasing length. This wine is a hidden gem; it is complex, excellent value and incredibly food friendly.